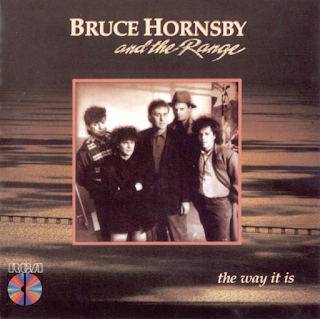 Simply a lovely debut album from Bruce Hornsby & The Range. Released in 1986, I love this album dearly. 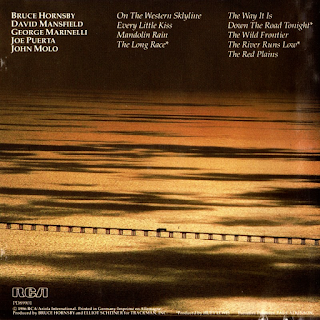 Even if I don't listen to it all the time these days, every time I give it a whirl, it cannot help but lift the spirits - Hornsby's instantly recognisable, melodious piano, his yearning vocals and his often inspiring, evocative, emotional and pertinent lyrics are all ingredients to what is a fine piece of work. From the opener "On The Western Skyline", the violin and guitars start it off, then Hornsby's piano kicks in and we are treated to some classic Hornsby bitter-sweet romance. "The Long Race" is packed full of images of the Virginia coast, the towns and the watermen who work it. This is a continuing theme in many of Hornsby's songs, the area he grew up in and the men who worked there. Even references such as “the Admiral’s daughter” are derived from Virginia’s naval presence. 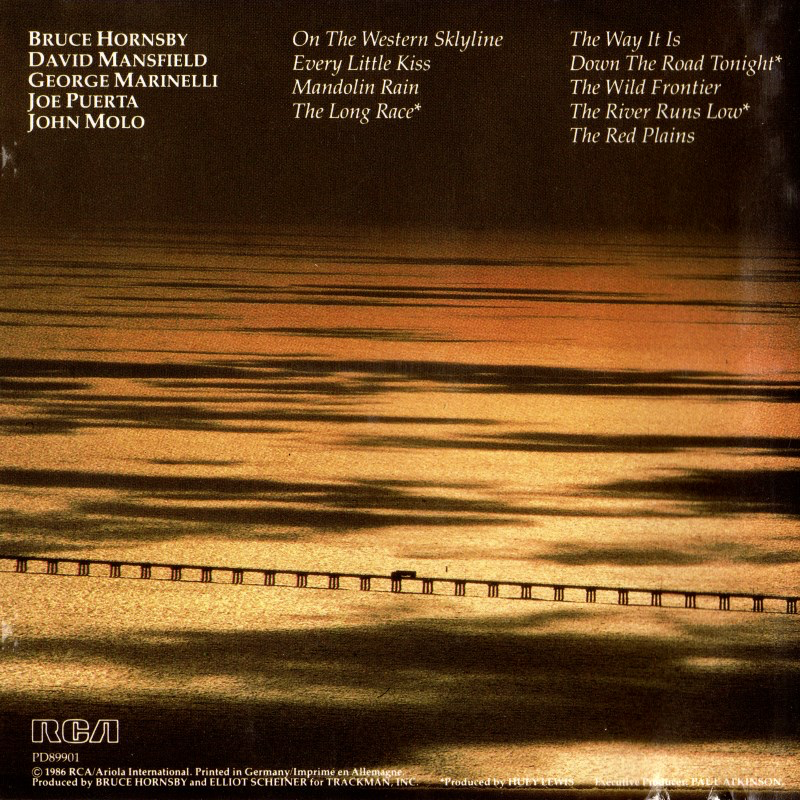 "Every Little Kiss" is an upbeat radio friendly romantic number and "Mandolin Rain" is a copper-bottomed Hornsby classic, full of wonderful piano and a moving vocal delivery of lyrics packed with pathos. Hornsby's yearning voice can give a celebratory song a sadness. Then there is "The Way It Is", in many ways the song that made Bruce Hornsby, the trademark piano riff used again and again to provide the soundtrack for TV features even sports highlights and so on. "Down The Road Tonight" is a great, rocking song about a roadside whorehouse! It has that great verse - "There's a place, a little roadside shack, a poor man's Paris, with parking in the back...". An absolute killer guitar riff too. One of my favourite songs of all time. "The Wild Frontier" is another more rock influenced song, with some slightly funky guitar and wild violin break, while "The River Runs Low" is a beautiful, piano-driven ballad. The album ends with "The Red Plains" which manages to combine a tender slow number with some tough rock passages and a "na na na" chorus part to boot. All in all, this was an excellent debut album from a most underrated band.